Encore Group provides a full range of Asta Powerproject training videos. 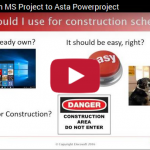 Asta Powerproject training videos are designed specifically to help you maximize the use of your project controls software in the construction environment. Below is a collection of the most popular videos in our library. We have additional Asta Powerproject training resources available, please contact us for more information. 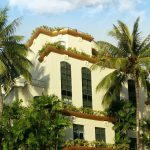 Encore Group welcomes new Consultant – Honolulu office Encore Group is proud to welcomes a new professional to our Honolulu office, Olivia Passinetti, PMP. We are excited to have her aboard and look forward to adding her expertise to our team of professionals. 6 Reasons to try Asta Powerproject Software Asta Powerproject may not be the market leader in the United States, in fact it only recently became available to the U.S. Internationally however, Powerproject is widely recognized as one of the world’s leading project management software solutions for construction and used by most of the leading construction firms. 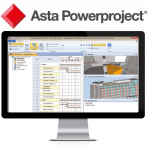 Switch from Primavera P6 to Asta Powerproject Learn why so many construction management professionals are switching from Primavera P6 to Asta Powerproject. Management Strategies for Project Execution So much is written and discussed these days to help teams execute organizational objectives. It is not enough to have thorough knowledge of a particular strategy, and good intentions will not get the job done. Reactive or Proactive Scheduling? To many managers in the construction industry value is overshadowed by cost. 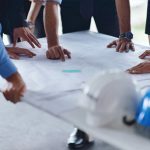 By not seeing the value that planning and scheduling can bring to a project, 98% of the project budget may be placed at risk in order to save a few dollars of the overhead budget. Construction Project Execution – Start with Experience Advancements in technology continue to stretch construction programs and their managers. It sometimes seems that the technology has outpaced organizational capabilities to manage it. 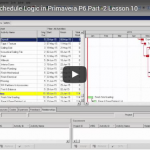 Lesson 9: Add Schedule Logic in Primavera P6 (part 1) Learn about Adding Schedule Logic in P6 in episode nine, part one of our two-part conclusion.